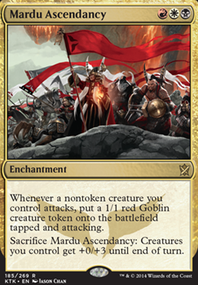 , Add or to your mana pool. Terra Ravager feels a bit out of place in this deck, as you have a bit of a steal your opponents' stuff theme going maybe substitute in Hostage Taker . Thousand-Year Storm probably needs a heavier base of cheap instants and sorceries to really power it up the way you want. If you want to keep Dismiss into Dream in the deck, you should find some more permanents with activated abilities that can keep targeting your opponents' creatures to keep the board clear so you can reliably have one active when this enchantment hits the table. Niv-Mizzet, Dracogenius comes to mind. 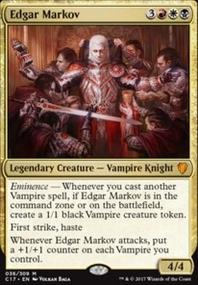 Plus he's a source of card draw and doesn't die to Crux of Fate . 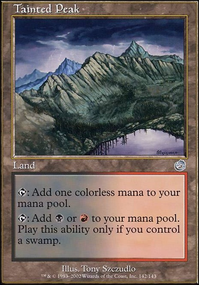 Your biggest area of need is the mana base, not enough sources for any of the colors to support them. 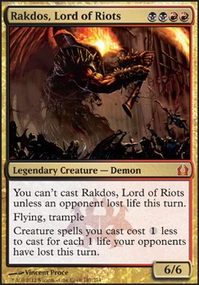 I'd at least add the other 2 guildgates available [Rakdos & Izzet] as well as look at some cheaper duals. 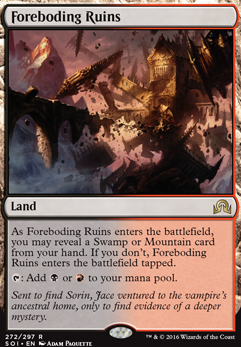 Foreboding Ruins , Smoldering Marsh or Canyon Slough aren't too expensive for Rakdos colors but can give you some flexibility. There are Dimir equivs but can't remember them off the top of my head. 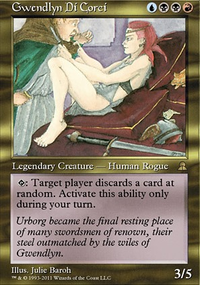 For more upgrades you're going to however want to move away from just GRN and RNA cards, but this doesn't mean you have to spend a lot of money for upgrades. There's budget ($5 or less per card) upgrades you can make. I put a star (*) in front of the best upgrades of these suggestions. * Command Tower : best budget land for multicolor Commander decks. * High Market : sac outlet. * Ashnod's Altar : sac outlet that makes mana. 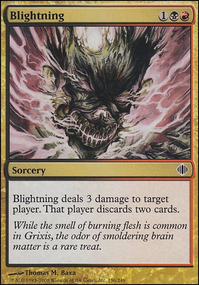 * Skullclamp : very good repeatable draw when you're sacing creatures. * Viscera Seer : one drop sac outlet. 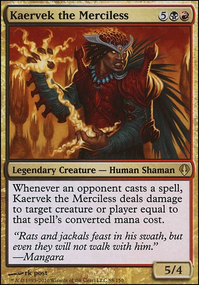 * Diabolic Intent : $5 tutor to get any card that also sacs a creature. * Vampire Hexmage : sac it to remove all counters from Depths. Thespian's Stage : make a copy of Depths, the copy doesn't have any counters, sac it and get Marit Lage. * Living Death : mass sac and reanimation. * Talisman of Indulgence : two drop mana rock. If you like some of these suggestions I can help you to make cuts.